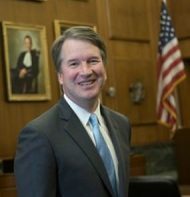 Judge Brett Kavanaugh, President Trump’s nominee to replace Justice Kennedy on the U.S. Supreme Court, recently authored an important attorney–client privilege opinion for corporate legal counsel. Judge Kavanaugh held that the privilege covered a General Counsel’s communications involving legal and business issues because “one of the significant purposes of [her] communications was to obtain or provide legal advice,” with an emphasis on “one.” Federal Trade Comm’n v. Boehringer Ingelheim Pharmaceuticals, Inc., 2018 WL 3028972 (CADC June 19, 2018). You may read the decision here. In 2008, Boehringer, a pharmaceutical company, negotiated a patent-infringement settlement with generic-drug manufacturer Barr Pharmaceuticals. The agreement was a so-called “reverse-payment” settlement because the patent holder (Boehringer) paid the alleged infringer rather than the other way around. The FTC, which monitors reverse-payment settlements to ensure compliance with antitrust laws, issued a subpoena to Boehringer requesting, in part, communications involving Boehringer’s General Counsel. The requested communications allowed the GC “to analyze and navigate the treacherous antitrust issues surrounding reverse payment settlements,” but also reflected her communications with Boehringer executives regarding a possible settlement. Boehringer argued that the attorney-client privilege protected the entirety of the communications. 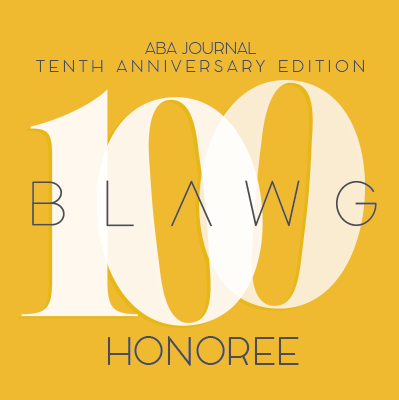 Although not widely litigated, and therefore subject to some uncertainty, courts generally apply two standards in assessing whether the privilege covers corporate counsel’s dual-purpose communications—those that pertain to legal and business issues. Some courts apply a “because-of” test, meaning that the privilege applies only when an employee communicates with the GC because of legal advice. It is akin to a sole-cause standard. Other courts apply a primary-purpose test, meaning that the privilege applies if a primary—not sole—purpose of the GC’s communication involved legal advice. Citing In re Kellogg Brown & Root, Inc., 756 F.3d 754 (CADC 2014), which I discussed here, Judge Kavanaugh applied the primary-purpose test. He noted the “inherently impossible task” of finding “‘the one primary purpose’ of a communication,” and therefore held that the primary-purpose test requires courts to determine “whether obtaining or providing legal advice was one of the significant purposes of the attorney–client communication.” (emphasis by Judge Kavanaugh). The Association of Corporate Counsel and the U.S. Chamber of Commerce filed a well-written amicus brief, which you may read here, in support of the primary-purpose test. Focusing on “one significant purpose” of an in-house lawyer’s dual-purpose communication reduces the uncertainty in the attorney–client privilege, which is important because “an uncertain privilege, or one which purports to be certain but results in widely varying applications by the courts, is little better than no privilege at all.” (citing Upjohn). Here, Judge Kavanaugh found that, even though the GC’s communications served a business purpose, at least one significant purpose of her communications included formulating legal advice on the reverse-payment settlement. So, the privilege applied. While Judge Kavanaugh’s opinion applies existing circuit precedent, the decision provides additional authority for corporate legal counsel to argue that the privilege should protect their communications from disclosure even if the discussion involves business-related items.